empoweredpath.ca - Chantal's Blog Chantal Fraser provides training and speaks on a variety of topics. Each talk is tailored to meet the audience needs. Inclusion, Diversity, Leadership, Starting a Business, Preparing for a New Career, Women in Business, Recruiting and Retention of Indigenous Employees, Mentorship, Mentoring, Women, Persons with Disabilities, Members of Visible Minorities. 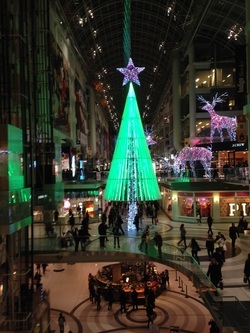 Chantal also provides Individual Career Transition Services and Business Coaching. 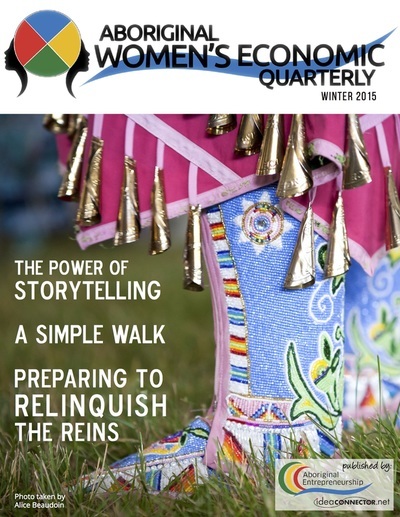 In 2015, the Idea Connector Network launched a new online magazine, Aboriginal Women’s Economic Quarterly. One of the benefits of being Editor in Chief is connecting with contributors from coast to coast to coast. 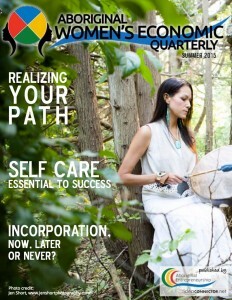 Our contributors share their stories, business tips, artwork and photography to help Aboriginal Women’s Economic Quarterly meet its aim to highlight social and business entrepreneurial achievements of Aboriginal women, to provide insights on the economic role played by women and to breakdown myths and persistent barriers. We celebrate Aboriginal women’s contribution to economic development and their personal successes. 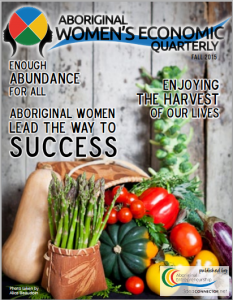 The majority of the content for the Aboriginal Women’s Economic Quarterly online magazine is contributed by Aboriginal women. If you’re interested in contributing contact me at Chantal.Fraser@IdeaConnector.net to talk about what you’d like to share. I’m looking always looking for articles and images to share with our readers. Education, training and professional development are a key building block to achieving success. Are decision makers in your organization working under the misconception that women don’t need access to these opportunities, since they will leave as soon as they start having children? Does your organization offer women opportunities to participate in formal learning programs and to take “stretch” jobs? The last time your organization filled a key position were any women considered? The questions in the last paragraph were to get you thinking about your organization and the opportunities available for women. Many people have unconscious biases. In fact those who believe that they do NOT have biases, make significantly more biased decisions than those who are aware and actively trying to combat their biases. Leaders often believe that women are not willing or able to take time away from their families to complete advanced training. This is in large part because women are normally the ones responsible for family centric chores, such as preparing meals and taking care of their homes. The research shows that women are just as willing as men to make personal sacrifices to get the experience and training required to advance in their careers. Here’s a real life example that a friend shared with me. When he was the Director of Information Technology services at a major bank he overheard two of his staff discussing their family care plans in preparation to attend a course conducted in another city. My friend was concerned to hear about his staff preparing meals in advance and leaving detailed instructions for their spouses so he offered to postpone their training. The women categorically refused to delay the course. They had their plans in place and were looking forward to a working vacation, where all they were expected to do was attend the course and learn. I know that many men and women are frustrated when they hear about quotas for women. Unfortunately the fact is that in many organizations qualified women candidates are still being overlooked. Quotas for women to attend education, training, and professional development are a valid and generally successful way to increase the percentage of women accessing these opportunities, at least until such a time as women’s participation is considered the norm. When I was served in the military I took great pride in achieving success on my merit and not as a result of my gender. As a Logistics officer, I served and trained with many women and men. The military prides itself on offering in depth training and education. In my 28 year career, only three of the courses I attended had a student population with 10% or fewer women students. Two of the courses were taken early in my career and were very army focused. The third course was the Joint Command Staff Program, a post-graduate university level leadership program for senior officers. Sixty percent of the graduates were expected to hold senior leadership positions such as Commanding Officer. The remainder were expected to hold senior appointments, strategic level staff jobs at starting at the rank the Lieutenant-Colonel. As I was completing this course I was honoured to learn that I was being considered for an important leadership post, one that had yet to be held by a woman officer. I was thrilled to think I might be the first woman to hold that job, until I learned that everyone being considered was a woman. I knew that we were all qualified or we would not have been on the short list. However, I was incredibly frustrated that the only way the organization could achieve the goal of having a woman hold this job was to only consider women. To me this signified that even though the military had come a long way, it had yet to fully embrace that women could hold key leadership roles. How does your organization promote education, training and professional development for women? Do you offer women the opportunity to learn and progress by holding key jobs? Join the conversation here or through the Knowledge Gateway http://www.empowerwomen.org/ a web-based information portal funded by the Government of Canada. 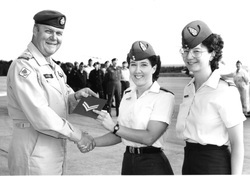 Author, in Canadian Air Force maternity uniform, and daughter with then Speaker of the House Peter Milliken. Canada has federal and provincial laws that cover health and safety, everything from bullying and violence in the workplace to how to tie off when working on a roof top. So why talk about this as part to the WEPs discussion? The fact is that women and men are physiologically different. Our bodies do not work exactly the same way. Providing an equitable workplace does not necessarily mean providing identical safety equipment. For example most women wear smaller work boots and belts. Many trade unions negotiate for a specific dollar amount for their members to spend on an annual basis on personal safety equipment. That allows the employees to present bills to their employers for safety boots, cold weather clothing and other personal equipment. Good employers set health and safety policies that must be adhered to. For example, in the military, pregnant women are put on a temporary medical category that precludes them from participating in activities such as shooting weapons, responding to chemical biological radioactive and nuclear disasters, and deploying on military operations. This isn’t unfair to men; it’s a matter of protecting the health of the women and their unborn children. While I know a woman who ran a 10 km race in the morning before she gave birth to her eldest child, and another who was racing on her mountain bike two weeks after the birth of her second child, for most of us it’s much more difficult to perform feats of physical endurance when pregnant and during the period immediately following birth. Canada has one of the world’s most generous maternity and parental leave legislations. Employers are obliged to safeguard an equitable return to work for parents who take up to a total of 52 weeks between them to bond with their newborn or adopted children. As a minimum these parents receive a weekly Employment Insurance (EI) allowance to help make ends meet. Imagine my surprise when I heard a senior woman working in a publicly owned company complain about the top ups provided to professionals in many public companies and to federal employees. She believed that families should make do with the EI payment. The reality is that families make financial decisions based on their income, the maximum Employment Insurance payment in 2014 is $514 a week. This can be a disincentive for professional men and women to have children. In Canada 1 in 5 women receive top up from their employers. Of those who receive a top up 96% return to same employer. Reintegrating these valued employees back into the work force takes significantly less time than recruiting and training new employees. One way to help your organization understand the value of embracing diversity is to conduct education programs. As I stated in the WEPs Principle 1 blog, as a junior officer I taught the Mixed Gender Integration courses. A decade later I volunteered to teach Harassment and Racism Prevention courses. One of the best experiences I had was teaching the course in French to groups of officer-cadets at the Royal Military College in Kingston. These future officers challenged some of the teaching points and were fully engaged in class discussion. It’s been my experience that if you get the class engaged they learn the lesson more fully. Awareness training works, it helps people understand the unconscious biases they have. Once a person is aware that they have an unconscious bias, they are more likely to take corrective action and question their assumptions. For example women are just as ambitious as men, particularly early in their careers. A 2013 McKinsey and Company report stated that both women and men acknowledge that they have to make personal sacrifices to reach the top of their corporations. However, more women run into issues when it comes to work life family balance. As I stated in the blog about Principle 2, Flexible Work Arrangements (FWA) are used by men much more frequently than women. I believe that this in large part because women feel like they will be judged as “opting out” if they choose to use FWA’s. In my experience families who spend time together are more resilient. By encouraging work life balance for all, we help build stronger families, communities and businesses. The majority of my professional career was in the Canadian military. I served for 28 years and retired as a Lieutenant-Colonel. The pay scales for the Canadian military are a matter of public record. I knew exactly what my peers were paid, just as they knew what I was paid. For most of my career my pay and benefits package was slightly higher than my male peers with the same seniority, rank and career field. The military prides itself on completely outfitting its soldiers, sailors, airmen and women, but realizes that women come in different shapes and sizes and that it would be near impossible to stock an appropriate selection of undergarments. Military women are allowed to claim up to a certain dollar amount on a yearly basis for purchasing brassieres. That amount doubles when women deploy, because quite frankly after a deployment these garments are no longer fit to wear. I didn’t realize how remarkable it was for me to get the same pay and benefits as my male peers, until I retired and started reading about the Women’s Empowerment Principles, Employment Equity and other topics that are fascinating to someone like me with a human resources background. 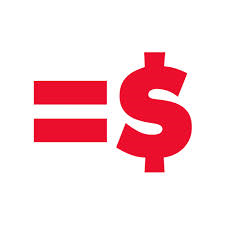 In April 2014, as a member of the Canadian Federation of Business and Professional Women, I received a copy to the Equal Pay Coalition of Ontario’s publicity package for Equal Pay Day April 16th. I was appalled to read that the average Ontario woman earns 31% less than the average Ontario man. According to the materials provided even when women and men were doing the same job, with the same background and education, women in most career fields still earned 20% less than their male peers. The Pay inequity is even worse for Aboriginal women, women from visible minorities and women with disabilities. I run a one person business. While I interact with other business people, my neighbours and friends, most would not categorize me as being in a position to change policy to build a more equitable world. I disagree. On behalf of the Belleville and Trenton & District BPW Clubs I issued a press release on Equal Pay Day. I wore red all that week and spread the Equal Pay Day message through Twitter and Facebook. I even made a point of discussing the pay equity issue with my daughters and son. My seven year old son said “that’s just not fair!” He likened pay inequity to bullying. One of the barrier’s to women pursuing the careers they want is work-life balance. Like it or not we live in a world where most of the family care responsibilities are considered “women’s work.” I’d like to share how Flexible Work Arrangements can be used to encourage pay equity by making it easier for everyone to achieve work life balance. Policies that allow employees flexibility in the time, place or duration of work, so that the employee can balance their work and personal life commitments are called Flexible Work Arrangements (FWA). I’ve experienced informal FWA throughout my career. I’ve seen parents time shift their work hours to match their childcare arrangements. I know people who have taken leaves of absence without pay to complete education goals or to accompany their spouse for a job move. In 2013, while researching an article I was writing I learned that the majority of people using FWA are men in their 40’s. There are factories and even first responders (fire, police, paramedics) that embrace FWA’s and encourage their employees to use them. A 2010 study of IBM workers found that those working from home produced 19 more hours of work a week. Recruiting and training new employees costs money and takes time. Therefore there is a valid business case for implementing FWA’s in your organization. Many knowledge workers, men and women, are choosing to do part-time or contract work to allow them more flexibility. In December 2013, while waiting for maintenance on my car, I met a biologist who started a second career as a teacher so that she could have more flexibility when she started a family. She’s been working as a supply teacher for several years now and has three children who are all under 6 years old. She enjoys the flexibility of working as a supply teacher; it allows her to spend time with her children while keeping current in her role as an educator. I’ve also met several people who only do contract work, so that they can choose assignments that allow them the flexibility to care for ailing family members. FWA’s work! Please consider implementing them in your organization. The world is full of people with good intentions. I intended to continue this blog on the Women’s Empowerment Principles (WEPs) over the summer and fall of 2013. It’s now the spring of 2014. It is definitely past time for me to publish the next installment. 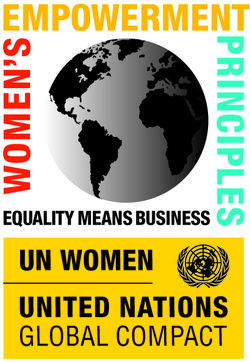 The first WEPs principle is to establish high-level corporate leadership for gender equality (http://www.weprinciples.org/Site/Principle1/). I’ve been leading people for over 30 years, from my time in the Air Cadets as a teenager, to a long and successful military career, and as a volunteer with community groups and professional associations. I’ve worked with and for leaders at all levels. The best leaders set the tone for their organizations by sharing their vision, giving their staff the tools and training they need to accomplish their mission, and setting goals. One of my mentors taught me that if you really want to know what a leader supports, look beyond what they say to what they do. Leaders who support diversity in the work place do more than signing policies and spouting politically correct words; they take action. They sponsor women for leadership roles within their organizations. They establish programs and approve policy changes to support gender equality. I’d like to share the story of a leader who took action to increase the representation of women. It’s only in retrospect that I realize how remarkable he was. In 1993, I was posted to 403 Tactical Helicopters Squadron in Gagetown, New Brunswick; the home of the Army. There were very few women in uniform, particularly officers. The Commanding Officer specifically requested that women officers be posted to his unit. He wanted to have female officers lead the increasing number of women Air Force technicians. That summer three women officers were posted in; joining the one woman pilot. One of my first assigned tasks was to teach a course called Mixed Gender Integration with the Squadron Chief Warrant Officer (Sqn CWO), a long service tough as nails professional airman. When I asked the Sqn CWO how he would like to divide the teaching material, he told me that it was simple I would teach the course, and he would enforce what I taught. Shortly after the course was delivered, all inappropriate posters and calendars came down. In the two years I was there, no complaints or concerns were raised by the women in the Sqn. The Commanding Officer of 403 Sqn was a male champion for change. Not because someone told him to, but because he was an excellent leader. He treated me the same way that he treated all of his officers; expecting me to do my job which included leading my people and supporting the Sqn. He made sure I had the opportunity to learn new skills and further develop as a leader. I’ve met many great leaders from all walks of life who consciously work to create a culture where under-represented people are valued for the skills they bring to the group. These leaders make a point of getting to know their people to learn who they are and what they aspire to achieve. They value people for their talents and contribution, encouraging them to grow and achieve further success by giving them assignments that challenge them. It took me longer than I intended to post this blog, but I am spreading the WEPs message. I’ve approached the Chambers of Commerce in my area to offer to deliver the WEPs talk and I’m writing the rest of this blog series. On December 2nd 2013; I visited Ottawa where I met with Liberal MP Ms. Kirsty Duncan, to speak about WEPs. In September 2014, I’ll be delivering the WEPs talk to a group of 200 people. I’m doing my best to “walk the talk”; won’t you join me? Find a Balanced Path to Success part 1 - Discover Your Passion! Are you frustrated and conflicted trying to find the much talked about but elusive work-life balance? Do you have too much to do on any given day? Do you spend time at work thinking about what needs to get done in your personal life? Are you saying “no thanks” to career opportunities because you fear that too much success may someday lead to difficulty when and if you become a parent? I am a leader, veteran, wife, mother, mentor and entrepreneur. The first 28 years of my career were in the Canadian Armed Forces from which I retired at the rank of Lieutenant-Colonel. My husband jokes that I was born into the military, as both my parents are also veterans. I am grateful to the family members, friends, colleagues and mentors whose insights and advice helped me achieve success. Throughout my career and as a volunteer in the community, I’ve made a point of being available to those who had concerns about how their careers were progressing. In 2007, I codified the lessons I’ve learned into five building blocks to achieving success. Since then I’ve written and spoken about these building blocks and several of the tactics you can use to help find a balanced path to success. professionals, artists, actors, and those who dedicate their lives to their religion. Knowing what you are passionate about and what you want to achieve, is the first step. Once you know what your goals are, you can start mapping your path to success. In a perfect world you would earn a living pursuing a career that you are passionate about. make a living as a professional golfer. On the other hand, you may have a way with words and a history of convincing people that they should buy, attend, or support whatever you write about. In that case it would likely be better to pursue a career in marketing than a career as a golfer. Better yet, you may decide that your definition of success would be to pursue a career in marketing all things golf! A good way to determine your passion is to think about how you would spend your time on an average perfect day. Yes, I meant what I wrote – I’m not trying to create a new oxymoron. An average perfect day is an average day in your perfect life. We all have good days, not so good days, and average days. Imagine if you were leading your perfect life; what would you do on an average day? If you’re having trouble with this, reminisce about what brought you joy as a child and reflect on what you enjoy most in your current life. Yes, I said life, not career. Your career is important but it may be that what you are passionate about is NOT what you are doing in your current career. You may be pursuing your passion as a volunteer, while working at a career simply to pay the bills. Once you’ve envisioned your average perfect day write it down, share it with a trusted friend, record yourself speaking about it, or create a vision board. If you’ve never heard of a vision board check out this great blog for easy to follow advice http://christinekane.com/how-to-make-a-vision-board/. Success means different things to different people. I’ve met parents who chose to stay home to provide their young children a nurturing environment, who transfer that passion into successful careers helping others, as the children get older and more independent. I’ve met millionaire entrepreneurs who live well below their means because the things that many of us consider as the outward signs of success mean very little to them. All of these people are happy following their definition of success. As an aside, if you’re interested in learning how most millionaires live then go to your library or local bookstore and find the books written by Thomas J. Stanley, PhD. I loved reading Millionaire Women Next Door and look forward to reading The Millionaire Next Door. You can learn more about Dr. Stanley at his webpage http://www.thomasjstanley.com/. means to you. Well-meaning family and friends, work colleagues, fellow students, and even complete strangers all feel free to share career advice. The only person you MUST listen to is yourself. I do respectfully ask that you please pick something that does not harm others or the environment and is legal! As I share future blogs on this topic I look forward to hearing about what success means to you, and how you set about to achieve it. I just learned of an open invitation to the Department of Foreign Affairs and International Affairs (DFAIT) "State of Women’s Leadership” event. I have included a copy of the invite with this blog. In brief the event will bring together three top level women from the private sector, international institutions and government to share insights and experience about what is working in their fields in promoting diverse leadership, including accelerating the movement of women into senior leadership roles. The event will provide an excellent opportunity for a wide range of DFAIT staff to learn about the state of the art in diversity leadership and to understand how the good practises and lessons learned could be integrated into the work of the department. The panellists will address their remarks to the following questions. 1. What are the benefits of increasing diversity in leadership, including leadership roles for women? 2. What are the proven and promising practises that result in increased leadership roles for women and other diverse populations? 3. How do we collectively contribute to growing diverse leadership in our work places and communities? A networking reception is scheduled after the panel discussion to facilitate networking and further knowledge exchange. This event is sponsored by the DFAIT Champion for Women, Angela Bogdan. Women’s Empowerment Principles - Canadian Federation of Business & Professional Women (BPW Canada) shares the message! Welcome to my inaugural blog! I founded Empowered Path Inc. upon retiring as a Lieutenant-Colonel from the Canadian Forces (CF). In the months leading up to my retirement, I participated in a working group sponsored by the Director General of Military Personnel to examine trends in women’s representation, recruiting, and attrition. I also had the opportunity to speak at BPW Canada’s national convention in June 2012. It was exciting to describe the wonderful opportunities available for women in the CF. I enjoyed sharing how much things had changed, from the time my parents served to the end of my own career, through personal insights and historical facts. See http://www.forces.ca/en/page/women-92 for more information. male-dominated field – the military, I felt that it was time for me to help empower women. I volunteered to become involved with promoting WEPs. My first step towards that end is the launching of this blog. As the president of Empowered Path Inc. I signed the WEPs CEO Statement of Support in October 2012. What does that mean? Why did I take that step? education, doing the same jobs. This came as a shock to me, because in my military career I always knew that I was paid the same as my male peers. The next two paragraphs in my blog are unabashedly cut and paste from sections of the Women’s Empowerment Principles website http://www.weprinciples.org/Site/Overview/. Their words eloquently state the reasons behind WEPs. marketplace and community. Gender equality is not only a basic human right, but its achievement has enormous socio-economic ramifications. Empowering women fuels thriving economies, spurring productivity and growth. point the way to best practices by elaborating the gender dimension of corporate responsibility, the UN Global Compact, and business’ role in sustainable development. As well as being a useful guide for business, the Principles seek to inform other stakeholders, including governments, in their engagement with business. Don’t these principles seem like common sense? If we don’t have gender equality we lose out on the potential of half of the world’s population. In my experience, good leaders want everyone on their team to succeed; they make time to champion all of their people; women and men. However, many women are still not getting the same opportunities as men. There are a number of ways to improve this situation. The first is to admit that there is still a problem. Becoming a signatory to the Women’s Empowerment Principles acknowledges that there is still work to be done, and that your organization is willing to step up and make a difference. When women are empowered our families, our communities, and the bottom line of our organizations all improve. As of April 15th 2013, Canada had 21 WEPs signatories, including federal MPs, Provincial MPPs/MLAs, Municipal Councils and CEOs of public and private organizations. If you’d like to start talking about the Women’s Empowerment Principles right now, feel free to post comments to this blog. Thank you for taking the time to read my first blog, I look forward to hearing from you!